Curious about reasons you are being unfollowed on social media? Tired of people unfollowing you all the time? If you’re using social media regularly, I can with 100 percent certainty say that you’ve been unfollowed at least one time. Considering the fact that your goal is to grow your page, it’s always frustrating when the numbers do the opposite. You’re eager to reach a particular goal and you’re just waiting for the last few followers to come to you. You constantly refresh your follower count and dream of better days when you have reached your follower milestone. But then you go to your followers and see that you’ve lost followers instead. The shock can be devastating. In this article, we’re looking at the reasons you are being unfollowed on social media and what you can do to prevent it. Here are the top Reasons you are being unfollowed on social media (and what to do about it). The word unfollow is the opposite of “follow”, as you can probably guess. In social media term, it can be explained with the word “subscribe”. When someone follows you on social media, they are subscribing to receive your posts in their feed. An unfollow, on the other hand, means that people un-subscribe to your social media uploads, and say “Enough is enough. I don’t want to follow you anymore”. Well, usually, it’s not that dramatic, however, the main principle still remains. When someone unfollows you on social media, whether it be Instagram, Twitter, Facebook, or Youtube, the basics still remains: they won’t see your posts in their feed. Something worth knowing is that the action of unfollowing has different names depending on which platform it is done on. On YouTube, for example, it is called “Unsubscribe”. But for the sake of not confusing, we’ll stick to the term Unfollow for now. Why are people unfollowing you? The reasons why people unfollow you on social media are many. There is no “One explanation” that explains why people choose to unfollow a brand, page, or individual. Instead, it can depend on several factors, or it can be for a very strange reason. In fact, often times, you might see unfollows without someone even unfollowing you consciously. (More on that further on). Let’s look at the most common reasons why people are unfollowing you on social media in order to get a better understanding of what actions you should take to prevent it from happening. But first, let’s look at a study made by SproutSocial that studied the reasons to why people unfollow brands on social media. Now, even if you’re not a brand, it is still relevant to you, because you’re always your personal brand and similar principles will apply even to your account. This is one of the most, if not the most common reason you are being unfollowed on social media. Unless you are a celebrity, keep reading, because celebrities fit into their own category where people don’t follow the celebrity because of the content they share. Instead, people are following the celebrity because they look up to them and want to see what they are doing. The main reason people follow celebrities on social media is that they look up to them and want to see what they are doing. Not necessarily because they have a good content strategy. Unfortunately, though, chances are, you aren’t a celebrity. This means you have to put great emphasis on the content you share. Of course, if you are a celebrity and can have a good content strategy on top of that, that’s when you can truly dominate. Otherwise, you won’t see any growth. In fact, there’s a risk you’ll see a decrease in followers instead. Well, if you’re serious about social media, hopefully, you’ve created a content strategy. The content strategy tells you what you should post, and how you should post it. When people start to follow you, they follow you because they are interested in the content you shared (and have shared recently). When you start seeing unfollows, it might be because your content strategy isn’t fine-tuned to perfection or because you suddenly start sharing content that doesn’t align with your initial content strategy. Can you pick the odd one out? 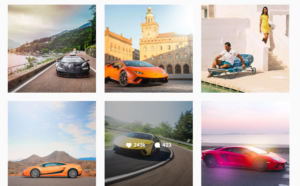 Most people follow @Lamborgini to see cars and cars only. Let’s say you have a page where you only share images of beautiful cars. Inevitably, you’ll attract people who are interested in cars. Guess what those followers will want to see? Car-related content of course! If you start sharing photos of cats and dogs, people will say “what the heck” because that’s not what they followed you to see, and that’s not what they expect to see when they click follow. Lesson learned is: stay true to your niche and industry, because that’s what your followers want to see. Also, when setting up your page, make sure you make it clear what you are all about and what your followers can expect from you. In fact, to make it super clear, write what you will be posting on this account! If you start posting content that isn’t relevant to what you first say you are going to post, people will unfollow you. Ever heard of the follow/unfollow method? Often times, this is a common explanation for why you are being unfollowed on social media. Unfortunately, in this case, there’s not much you can do about it. The follow/unfollow method is a method people use in order to gain followers. This is especially common on Instagram. What people do is follow as many accounts as they can in the hopes of them following back. 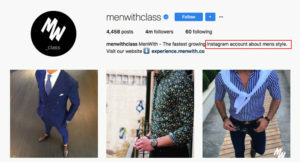 Because spam-following became such a big problem in Instagram’s early days when Instagram didn’t have many restrictions on spam-like behavior, Instagram set the max limit on accounts you can follow to 7500. When people have reached this limit, they have to un-follow all the accounts in order to continue doing the follow/unfollow method. And obviously, this method seems to be working, because otherwise, people wouldn’t use it. The explanation to this matter is: people follow you in the hopes of you following back. After some time, they hope that you have seen that they have followed you and thus start following them. After that, they unfollow you so they can continue growing their followers with this method. What posting schedule do you have right now? If your answer is “what posting schedule?”, then you’re in trouble. What is the longest time that has passed between two posts? If your answer is weeks, months, or even years, there’s your explanation. People follow you to see the content you share. They believe you can provide them with content they like and are passionate about in their feed. But what happens when you, all of a sudden stop posting? But still no posts from you. They’ll unfollow you of course! There’s no purpose in following an account that stops posting. Even if it’s just temporary, who knows if you’ll ever post again? First I say that you post too seldom, and now I say that you shouldn’t post as often. What’s the deal?! The key is to have balance in your posting schedule. How often you should post depends on several factors, what platform you use is the most important one. Finding the perfect balance is an art, so you’ll just have to experiment to find the sweet spot for your account. The general rule to consider is at least once a day. When you post too often, you might end up clogging your followers’ feeds, and that’s a surefire way to get them to unfollow. Sure, they are following you because they want to see your content, but they also want to see other’s content as well! Don’t forget that social media is social. After all, it’s called social media for a reason. When people comment on your posts, respond to them. When people ask a question, answer it! Social media is a two-way interaction that demands both parts to take part in the conversation. If someone is talking to you in real life and you’re looking away, what do you think will happen? Canon does a great job in interacting with their customers on Instagram. If everything your followers do is give and give, without getting anything in return, eventually they’ll unfollow you and go to a competitor of yours that actually value them. Ask for your followers’ opinions. (When asking for your followers’ opinions you show that you value them and what they have t say). 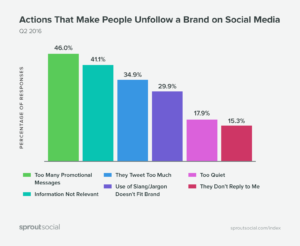 SproutSocial’s study found that 48% of people thought that the most annoying things brands do that leads to them unfollowing is posting too much promotional content. Of course, you want to use social media as a marketing channel, but did you know you can actually get far better results by posting fewer promotions than spamming out promotional posts every single day? People aren’t using social media because they want to see ads. They are especially not following people because they want to see ads. But before you get disappointed that you can’t use social media for marketing, let me tell you what the good part is about it. The truth is: you can post promotional content on your social media page. Just read the subheading again. It said: “You’re posting too much promotional content”. People don’t mind seeing promotional messages from their favorite brands. Especially not when they are the ones who have chosen to follow you. The only catch is: you need to find a balance that works. Of course, you want to promote your brand as much as possible, but at the same time, you don’t want people to unfollow you on social media, right? When talking about posting promotional content on social media, the 80/20 rule is often spoken about. This means sharing 20% promotional content, and 80% content that your audience enjoys. In short, it means sharing content that provides them value. There are different types of content that provide value, but the best way to know what you should post is to put yourself in their position. What would you like to see if you were following your account? The good thing with promotional content is that if you have a great imagination, you can incorporate your products into your content strategy so that you provide value to your audience while at the same time promoting your products. 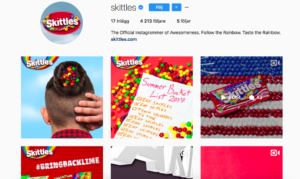 Skittles does a great job in sharing content that their audience loves, while at the same time marketing their products. If everything you do is share promotional content, eventually people will get tired of your spamming and unfollow you. Make sure you provide value and promote your products, and even better if you can incorporate the two. In the study, 29,9% of people reported that if a brand uses slang or jargon that doesn’t suit your brand, they’ll unfollow. The bottom line is: Don’t use a language that doesn’t scream you, and reflects your personality just because you are trying to fit in. People don’t want to see brands using slang and jargon to fit in. There have even been reports of brands who have used this type of language that has received a ton of hate and backlashed. People prefer that you, instead develop your own brand voice. A voice that comes from within your company and resembles what you stand for. When people can see that you’re only using slang or just to fit in and to reach your audience, it will only hurt your brand, and unfollows will be the outcome. Creating content every single day, editing it, creating a caption and then posting is stressful. There’s no doubt about it. And unless you have a huge team of social media managers and content creators, you are probably going to have to do be an editor, photographer, social media manager, and plenty of other things too at the same time. However, whatever you do, don’t let quantity trump quality. The goal is, of course, to post at least once a day, because that’s when you can reach your full potential. However, if you start posting content that isn’t really quality content just because you “have to post”, you’re only going to do harm. If you recognize yourself in this, it might be the reason to why you are seeing people unfollowing your account. Click-baiters: you know what I am talking about. If you use clickbait, it might be a reason to why people are unfollowing you on social media. If you are constantly tricking people to your page with fake headlines, and faulty information, eventually people will label you as a click-baiter, and, of course, unfollow you. Bottom line: Don’t write too good to be true headlines or captions to trick your followers into doing something, visiting your website etc. It might work short-term, but it isn’t a way to build a genuine following and become an authority in your industry. Chances are that some of your customers follow you on social media. With plenty of studies reporting the importance of responding to customer messages, this is something you don’t want to neglect. This does not only include engaging with your audience, but actually using social media as a customer service tool because it is! And it’s a great one. If you aren’t using social media as a customer service tool, you’re missing out. In fact, if you’re using social media, but not responding to the customer service questions people send you, they’ll probably end up unfollow you out of frustration. Most people have at least some fake followers on their account. 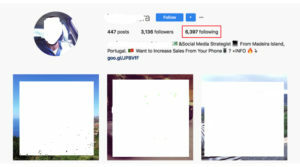 On Instagram, for example, as much as 8% of accounts are fake spambots. Whether or like it or not, you’re going to accumulate some fake followers. All social platforms are actively fighting fake accounts, which means they’ll ban them as soon as they detect them. This means that when social platforms ban fake accounts, you’ll lose the accounts that were following you. The single most common reason why people are following someone on social media is because of the content they share. 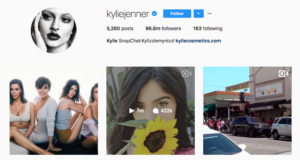 Of course, there are also other reasons why people decide to follow accounts on Instagram, for example, that they are loyal to a particular brand and want to support it. The catch, however, is that the reasons you are being unfollowed on social media are, almost always, as demonstrated in the points above, tied to the content you share in one way or another. If your competitors on social media share better content than you, but similar content that feeds your audiences’ needs of content related to the niche they’re interested in, there’s no real need for them to follow you as well. To prevent this from happening and from being unfollowed on social media, a great tip is to evaluate your competitors’ content and social media strategies on the platform you’re operating to see what they do well and what they aren’t doing well. Now, if you see something that they do well, you shouldn’t just steal that tactic, but instead, you should on-up it. Always. Otherwise, by the time you’ve implemented their strategy, your competitor has already planned for the next move, leaving you always one step behind. If your audience unfollows you on social media because of your competitors, it doesn’t only have to be a matter of content. One reason can also be that they resonate a lot better with your competitor than they do with you. It can have to do with brand personality and brand voice. The key here is to evaluate your competitors and see what they do, but always focus on yourself in firsthand, and ask yourself how you can improve upon their strategies. This is one of few scenarios when it’s not your fault. The problem is that when you are following a ton of accounts on social media, you risk cluttering your feed since all of the people you follow fight for a spot in your feed and get your attention. This was especially a problem when the major social media platforms used chronological feeds, which meant presenting every single post from every person you followed in your feed. If people follow too many, they might just make the decision to start unfollowing some accounts that they see in their feed. If you’re in the wrong place at the wrong time, this might just be one of the reasons you are being unfollowed on social media. If you, on the other hand, always share content which appeals to and engages your audience, you might be able to prevent this. Go through your old content and look at the content which performed the best. 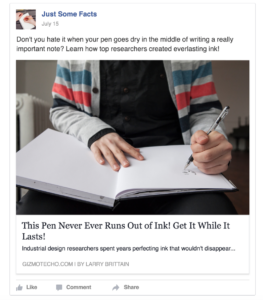 Now, try to share similar content, as this is the type of posts that engage your audience the most. This is a big point and I really want to emphasize why this is one of the reasons you are being unfollowed on social media. Many brands on social media make the mistake of using social media as a traditional marketing tool. This means trying to shove as many promotional messages down their audience’s throats as possible in the hopes of them buying. The problem is that people have a different mindset when using social media which means that they aren’t using social media because they want to be sold to. The main reason people use social media is that they are bored and want to be entertained. People also use social media because they want to stay updated with what their peers are doing, and get news updates. If they go on to social media just to find you trying to sell to them non-stop, you will be unfollowed on social media. As such, the brands that succeed on social media are brands that aren’t trying to directly sell. Crazy, right? First off, brands see tremendous results from using social media as a relationship tool to strengthen their customer relationships and get more loyal customers, which, in the long run, leads to more sales. Also, the foundation and prerequisite for successful social media content is sharing content that provides value. To get people to you, you need to have a value proposition, something that draws people to you. If you don’t have anything of value, why would people come to you? Have these in mind when operating, because if people find you performing any of these annoying actions, they may very well decide to unfollow you. Too many promotional messages is a given because people don’t use social media because they want to be sold to. Furthermore, using slang and jargon and ”trying to be funny when they are not” are all very similar and boils down to the brand personality. 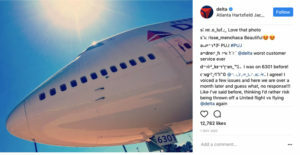 Having an authentic, transparent, and human brand personality is a great thing as it can help bridge the gap between you and your audience and make you more approachable, however, the catch is that if your brand personality isn’t well thought-out, you risk distancing your audience from you instead. This will obviously become one of the reasons you are being unfollowed on social media as well. As such, develop a brand personality that your audience will resonate with. Try to understand your target audience and study what they think is fun and engaging, and try to create a brand personality and brand voice which aligns with theirs. What to do about people unfollowing you? Apart from actually stop doing all of the 10 things above (if you are doing them), there is one more thing you can do. As you may know, knowledge and data are vital for improvement, and that’s exactly what you’re going to collect. These reasons are only potential reasons to why you are being unfollowed on social media. In reality, you don’t know. It can be any of them, or it can be for completely different reasons. Send a message to everyone who unfollows you and ask them! You might be surprised to find out that all of them are unfollowing you for a reason that can easily be fixed, or, you might find out something completely different. How can you know who unfollows you? How to know why people are unfollowing you? With the app Unfollowgram, you can easily see who unfollows you on Instagram or Twitter. There are a bunch of other apps available that will help you identify the un-followers. A simple Google search or app store search will often work to give you all the information you need. There are many reasons why you are being unfollowed on social media. As your goal with social is to grow, first, you have to tamper with your decreased growth before you can start focusing on accumulating new followers. Often times, losing followers is a sign that you are doing something wrong. By ignoring that and not taking the time to figure out what the reasons are is like filling up a pool with water that has large holes in it. Now that you’ve understood the most common reasons you are being unfollowed on social media, you can take the appropriate actions and make sure you do the opposite of the things that make people unfollow you on social media. NextHow Can I Get an URL For My Instagram Page?